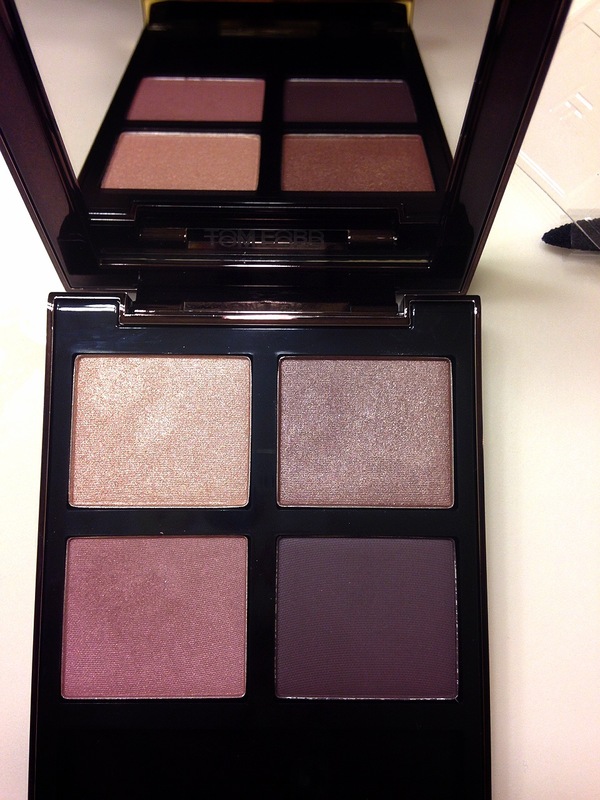 This Tom Ford eyeshadow quad is not for everybody. It’s for those who won’t blink at paying 20 times normal prices for eyeshadows. The palette is pretty damn expensive at $79 for 4 common colors in various shades of taupe-purple and there seems to be many similar dupes out there (which I have not tried because hel-lo, I paid for the real thing.) However, it is one of the most elegant palettes I own, both in terms of packaging and in terms of the shades once they are applied. I picked Orchid Haze because despite the purple inclinations, I could tell right away that it is very wearable. The top two shades in the quad are shimmery (but NOT glittery or metallic) champagne and taupe. The bottom two shades are matte mauve/purple and dark brown/purple which are great for crease shading or night time smoky eyes. I applied the top left shadow to my brow bone, the top right and bottom left shades to my lids, and the dark purple onto my crease. The pigments are very smooth but the top two shimmer shades are semi-sheer. To get intense color payout, you have to put about 4-5 layers. But you cannot mess it up. This is a very foolproof palette in this color family. 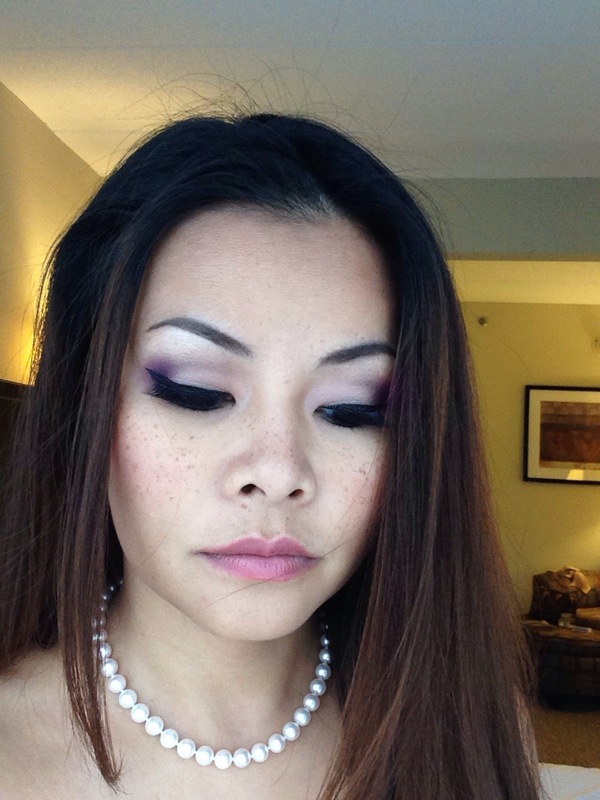 I applied a black shadow to just the corners of my eyes and blended even more of the dark purple at the corners and up to the crease. See below. Yep, the whole palette works well together and the result is VERY VERY pretty. I used BITE Beauty lip crayon in Rhubarb and Tarte Amazonian Clay 12-Hour Blush in Exposed. Eyebrows are Anastasia Beverly Hills Dipbrow Pomade in Chocolate and (Japanese) K-Palette 1DAY TATTOO 24 hour endurance Eyeliner Pen. I wore this to a wedding with a yellow dress and it actually went well together. Cons: Expensive, the other palettes in this collection are highly impractical with their shiny glitter textures. It looks beautiful. I’m such a sucker for pretty things and pretty colors.